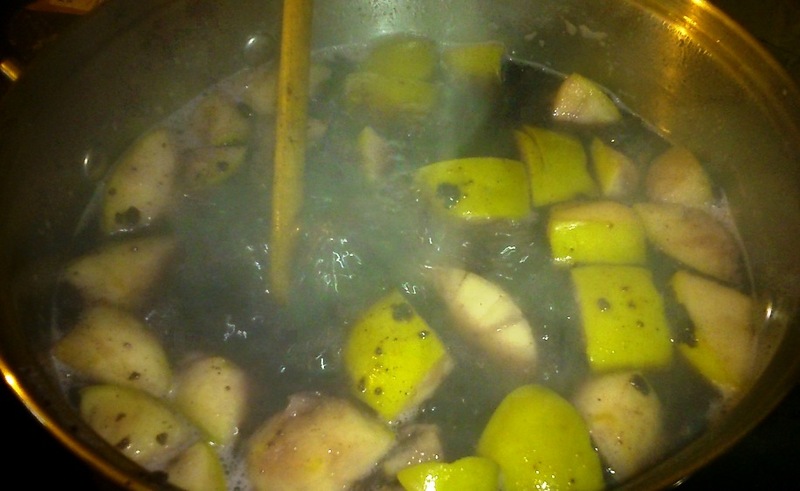 Chicha morada is a Peruvian beverage and a non-alcoholic take on the traditional saliva-fermented chicha. The term ‘morada’ is taken from the type of maize used in this recipe – maiz morado or, in plain English, purple sweetcorn. As part of our Home Ed project on the Inca Empire we decided to host an Incan Feast and chicha morada seemed like the perfect drink to make for it – sweet, alcohol-free and delicious either hot or cold. 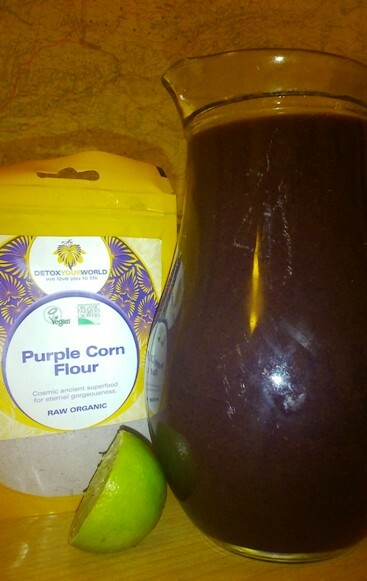 Unfortunately, I was unable to source any fresh or dried maiz morado in the UK, but I was able to get hold of some authentic Peruvian purple corn flour. Having found a couple of recipes online that used the flour opposed to the whole cob or dried kernals, I decided the flour was better than nothing – and the idea of purple flour was in itself a novelty! Whatever the form, I’m always happy to try out new ‘superfoods’ – a title this particular type of corn can lay claim to thanks to its colour; the anthocyanin that produces the colour also acts as a powerful antioxidant. Put all the ingredients except for the flour, honey and lime into a large pan and bring to the boil, stirring occasionally. 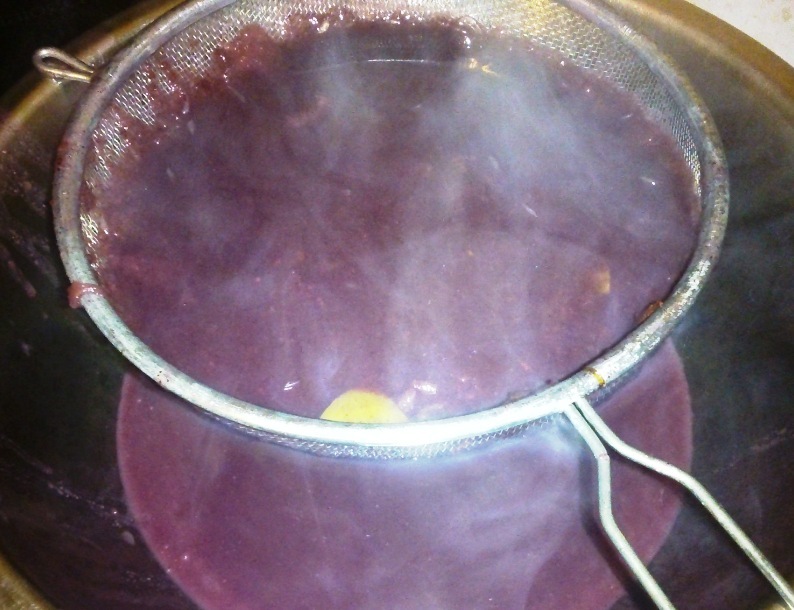 Next, add the flour – the mixture will immediately turn a deep, rich purple. Stir the mixture almost constantly as you bring this to the boil to prevent the flour sticking to the base of the pan and burning, and to get rid of any lumps. Turn the heat down, cover the pan and leave it for an hour to simmer, stirring occasionally. If you want a thicker, smoothie-like drink, the apples can be mashed as they soften. 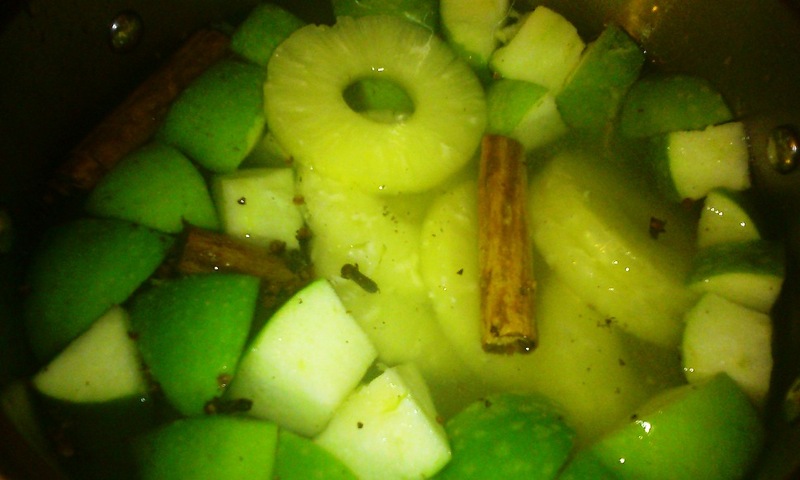 Once this hour is up, remove the heat and add the honey and lime juice. Stir well. Find a suitable bowl or container to strain the mixture into. When I first started doing this I was aiming for a thin fluid and began by using muslin cloth to filter the mixture. However, this proved difficult and time-consuming, so I substituted the cloth for a basic strainer and accepted that the consistency would not be as expected. The mixture may need a little teasing with a spoon to get it flowing through the strainer. Finally, decant your drink into your vessel of choice – straight into a glass still warm for an immediate pick-me-up (this makes a perfect winter warmer), or into a sealable container where it can be cooled and left refrigerated for about a week. Serve chilled with an extra squeeze of lime juice for a cool fruity refreshment. This particular batch was a thick, smoothie-like drink and delicious both hot and cold. It initially reminded me of a spiced cider and the cinnamon and clove combination harkened to the treats of the Christmas season. Whilst my attempt may not be a genuine chicha morada, the hallmark of this drink – its glorious purple colouring – was a delight to behold. I also wonder if the consistency makes this particular concoction less a chicha morada and more an ‘api’ or ‘Inca’s Dessert’ (a hot gruel of purple corn and fruit). One day I hope to get a chance to try a ‘real’ chicha morada made with fresh maiz morada (anyone want to sponsor a trip to Peru?! 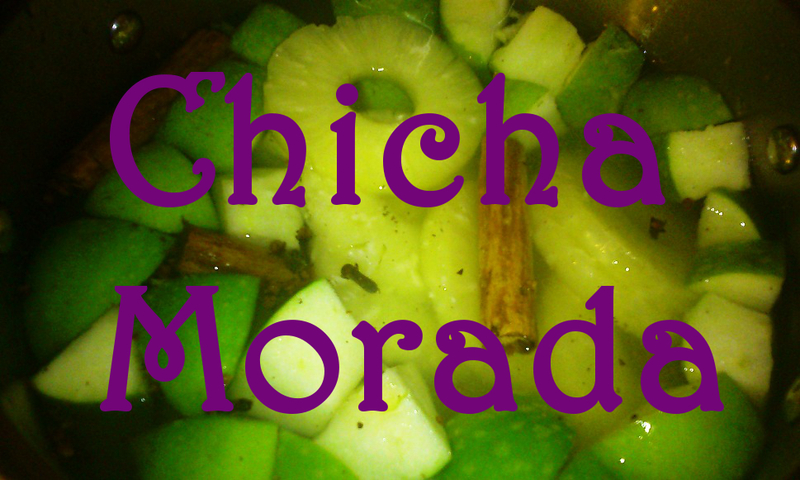 ), but the results of this first experience of something I call chicha morada were satisfying enough. Quite apart from the taste sensation of this drink, we have enjoyed discovering and preparing new foodstuffs as a family and had the joy of sharing our learning journey with good friends through our Incan Feast.